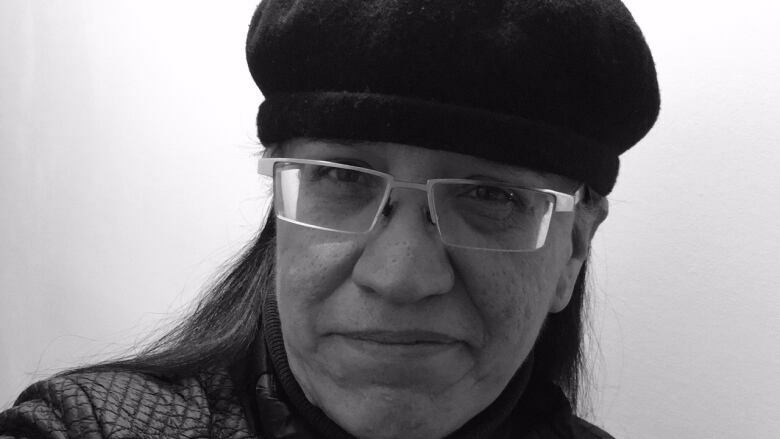 An Aboriginal woman from We'koqmaq First Nation is launching the first book of poetry written in the heiroglyphic form of the Mi'kmaw language. Her book is called Kiskajeyi, which means I Am Ready. The hieroglyphics date back 13,000 years and are the true base of the Mi'kmaw language. "I want people to know the Mi'kmaq people have always had the hieroglyphic language," said Sylliboy. In the 1690s, the Roman Catholic church published translations of their prayers into the Mi'kmaw heiroglyphics. "So my book of poetry is the second publication of translation [of the heiroglyphics]," said Sylliboy. "So there's a 329-year gap … from Catholic prayers to poetry." She is determined to bring the symbols into the everyday realm once again. "So that generations, and future generations, can use it as if you were writing an essay or a novel," she said. She remembers the joy and excitement of an eight-year-old boy in her community when she gave him a Mi'kmaw hieroglyphic dictionary. "That's the moment I realized they're hungry for this, they really want to know their language," said Sylliboy. "They want to understand it. They want to use it." Sylliboy is also a photographer and a sculptor of whale bones. A whale bone rib sculpted by Michelle Sylliboy. Last winter, her brother found the carcass of a whale. She has four of the animal's large rib bones. Into those bones she carved messages using the hieroglyphics of the Mi'kmaw language. During a residency at Inverness County Centre for the Arts, she talked to people coming through seeking input on what to put on the bones. She asked: "If you could tell the whale anything, what would it be?" Then visitors from all walks of life visiting the centre chose their messages from a Mi'kmaw heiroglyphic dictionary. "And that was the biggest gift that I had because they chose the symbols and then I spent the entire winter carving them out." Sylliboy selected one message herself to be carved into a rib. It was about climate change and the impact on the planet. "People asked for forgiveness from the whale and they told the whale, 'We love you,' and [asked] what can we do?" she said. "They were literally asking those important questions." Sylliboy is working to create a L'nuk Komqwejwi'kasikl [hieroglyphic] curriculum with L'nuk elders. "So that we could use it in the classrooms," said Sylliboy. "And people can be inspired to further the dialogue and keep it going." Michelle Sylliboy's exhibit will be at the Cape Breton Centre for Craft and Design. For Sylliboy, it's essential for everyone to know this language exists and that at one time it was the only written form of their language. The launch of her poetry book this Sunday evening coincides with a larger art exhibition, which includes her photography and whale sculptures. The launch is at 5 p.m. at Cape Breton Centre for Craft and Design in Sydney. "I hope people are inspired and they walk away wanting to learn more about their language, whatever culture they're from," she said.